Buy this item and earn 448 points valued at £4.48. 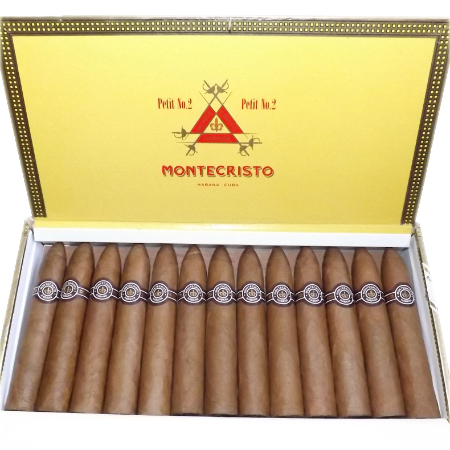 Introducing the baby brother of the iconic Montecristo No. 2: the Montecristo Petit No. 2. The cigar joins the brand’s standard range and is presented in labelled boxes of 25. The Petit No.2 is dressed with the newly designed more prominent Montecristo cigar band.